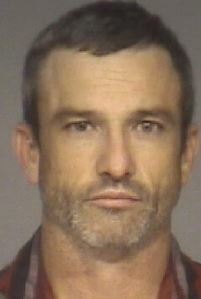 ROSWELL — Roswell police have arrested Steven Wayne Johnson, 39, of Roswell, and Jennifer Bevers, 36, of Roswell, and charged each in connection with last month’s murder of Dominik Stefan Finch, 19, of Roswell. 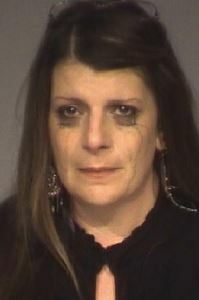 The arrests were made Tuesday, Aug. 4, at the Roswell Police Department about 1:30 p.m. The pair of suspects had come to the police station to discuss a vehicle belonging to Bevers that was earlier seized during the murder investigation. Arrest warrants for Johnson and Bevers had been obtained by RPD investigators earlier Aug. 4. Bevers had informed investigators today she and Johnson would come to the police department to discuss getting her vehicle back. When they entered the police station lobby, they were arrested. Johnson and Bevers, who also uses the last name Purcella, are each charged with an open count of murder, tampering with evidence, and conspiracy. Johnson is also charged with felon in possession of a firearm (prior conviction for distribution of a controlled substance). Johnson and Bevers were each to be booked into the Chaves County Detention Center, Johnson on a $75,000 cash-only bond and Bevers on a $50,000 cash-only bond. Finch was fatally shot July 22 around 12:30 p.m. outside his residence in the 1000 block of Cahoon Avenue. Finch was shot multiple times by what the investigation found to be more than one shooter following a confrontation outside the residence that took place amid a dispute over a gun that was in Finch’s possession. Johnson and Bevers were together when they came to Finch’s house, and following the shooting, they drove away together. Immediately after the shooting, another person at the residence called 911 and Finch was brought inside the home by someone at the residence. He was lying on the floor inside when police arrived. Finch was transported by ambulance to Eastern New Mexico Medical Center, where he was pronounced dead a short time later. Based on information obtained by investigators regarding the potential travels of the suspects, police set up a roadblock checkpoint east of Roswell the afternoon of July 23. Johnson and Bevers were not found during the roadblock operation. On July 24, police searched a house in the 1500 block of North Kansas Avenue after a pickup truck belonging to Johnson was located there. Johnson and Bevers were not found at the house. The next day, July 25, police searched a house in the 400 block of North Orchard Avenue, a former residence of Bevers. The suspects were not found there, but investigators seized a vehicle belonging to Bevers pending a warrant to search it. Later that same day, Johnson and Bevers came to the police department to discuss what had occurred at the Finch residence at the time Finch was shot. The District Attorney’s Office did not believe the investigation at that time had reached the point at which Johnson and Bevers should be arrested in the murder case, although they remained suspects. So after giving statements to investigators, Bevers left the police station and Johnson was arrested and jailed on an unrelated warrant for a probation/ parole violation. Johnson was released from jail about a week later.